With hundreds of “asylum seekers” arriving in Las Cruces, New Mexico nearly every day, the city is asking for donations and help. Gee, they couldn’t have seen this coming? Due to space restraints at detention facilies, the CBP is dumping the illegals in Las Cruces- and other “immigrant-friendly” places, according to Blue Lives Matter. If the President follows through with his idea to dump more of them in Sanctuary cities, this could get interesting. And those being dropped off are just the “processed” asylum seekers. The Las Cruces recreation center was closed “indefinitely” to residents as they use it for the illegal immigrants, though city officials were hoping to reopen it this week. They have moved many of the migrants. What about those residents? What about the poor of Las Cruces? Does anybody care about them as resources are switched to the illegals? “We’re struggling. We’re barely getting by.” Las Cruces resident. “The Border Patrol continues to drop-off migrants in Las Cruces and the City Council on Monday agreed to provide $75,000 to help with the response. 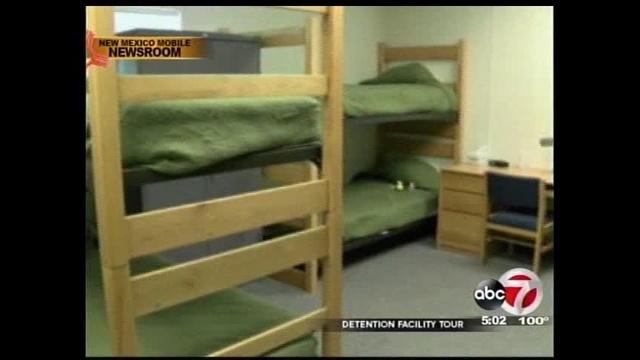 The Gospel Mission has specifically claimed that they have not kicked out any of the homeless from their facility. But medical professionals are needed to volunteer to screen and treat the immigrants as well. Food is a big concern for officials…who is going to feed them? These are issues that liberals never seem to consider in their penchant to have “open borders.” There is a drain on resources that is overwhelming. According to New Mexico In Depth, Las Cruces voted in December of 2017 to become “immigrant friendly.” They demanded police not cooperate with Federal immigration officials, which police stated they did not do at this point unless there was a criminal warrant. But with the latest influx of immigrants, perhaps the city will see the drain on their resources? Will they see the danger of refusing to cooperate with immigration authorities? Probably not unless something catastrophic occurs. When the President stated that he would likely send the immigrants to “sanctuary” cities, he caused the liberals some grief. It’s fine for them to brag about being for bringing in illegal immigrants, unless they are taken to their own backyards. Hypocrisy, much? Next articleWhy Is Lee County Sheriff Carmine Marceno Perpetrating This Fraud On The People?